When we encounter a piano that has been truly loved, we take notice. This is such a piano. Purchased new, with one owner until we acquired it, this instrument has been lovingly played and maintained by a classical pianist. The original owner searched and searched for their dream instrument, and this is it. 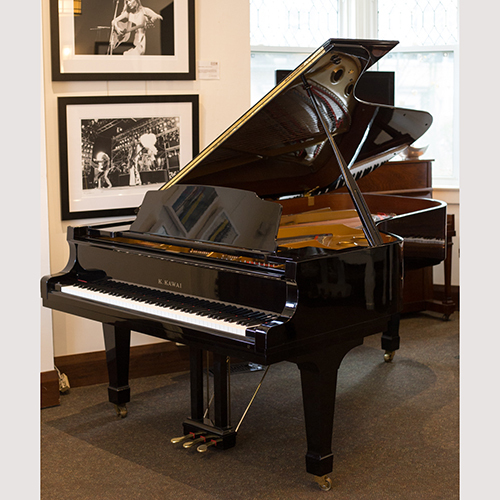 The GS-70 is highly regarded by piano technicians for its quality of construction and materials, and by pianists for its beautiful expressive tone and responsive action. This piano is found in recording studios, on recital stages, in churches, or in the living rooms of professional pianists. To play it is to love it. Book an appointment to meet this gorgeous instrument. Price includes: •	Matching Bench •	Comprehensive pre-delivery service •	Five year warranty •	Free Delivery within the GTA •	One year “Trade-Up” at full value •	One free in-home tuning. Ron Davis plays this piano in this clip.